Located in southwest Wales, Carmarthen is the county town of Carmarthenshire. With a population of around 15,000, there’s a good range of affordable housing in the area, perfect if you’re a first time buyer or looking to snap up a bargain. At My Home Move Conveyancing we have been developing our knowledge of Carmarthen’s local market since 2001, enabling us to bring our clients in the town an outstanding specialist, fixed fee conveyancing service. You’ll require the services of property lawyers if you want to buy or sell property in Carmarthen, in order to complete the legal work on your behalf. 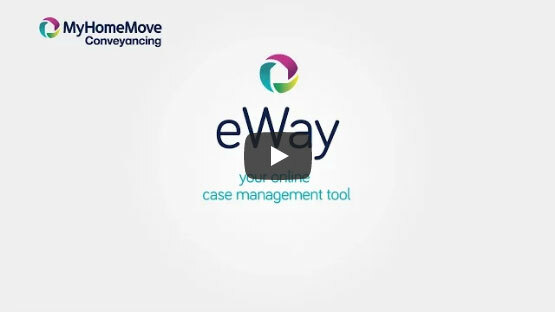 Select My Home Move Conveyancing to be your Carmarthen conveyancers and take advantage of our award winning customer service, innovative use of technology and knowledge of the local market. We offer a fixed fee conveyancing service with no hidden extra costs, so you’ll know exactly what you’re going to pay right from the start. If you don’t end up completing for some reason, you won’t have to pay us a thing in legal fees. Choose us for a market-leading, professional and passionate service. We assign a dedicated conveyancer to each of our clients, providing you with access to their expertise and a consistent point of contact. You’ll get clear, regular updates on the progress of your case, as well as online access to your account. At My Home Move Conveyancing we’ve supplied our conveyancing services in Carmarthen to customers looking to be both in the centre of town or on the outskirts with great access to the beautiful surrounding countryside. The average house price in Carmarthenshire is £136,200, while in Carmarthen itself over the past 12 months the overall average sale price was a bit higher than this at £157,405. Detached properties were involved in most sales, fetching an average of £206,445, while terraces went for £112,690 and semis for £140,476. Sitting on the banks of the River Towy not far from where it opens up into Carmarthen Bay, Carmarthen is one of the oldest towns in Wales. Coal mining in other parts of South Wales meant Carmarthen fell behind when it came to expansion, but this means that the modern town remains a lovely, rural and peaceful place to live. There are still plenty of local attractions to explore though, including Carmarthen Castle, St. Peter’s Church and Picton’s Monument. The A40 road links Carmarthen to other parts of South Wales, while the nearest motorway is the M4 which can be picked up to reach Swansea, Cardiff and Newport, before it heads into England and passes Bristol and Reading on the way to London. Trains to Swansea take around 50 minutes, while it’s double this to get to Cardiff. There’s a good selection of schools to choose from in the local area, including St. Mary’s, Llangunnor and Richmond Park at primary level. If you’re looking for a secondary school, Queen Elizabeth High School and the Welsh-speaking Ysgol Gyfun Gymraeg Bro Myrddin are among the options. All properties in Carmarthen will fall within one of the following council tax bands.